All Saints, Belvedere began their Lenten journey of reflection and preparation by taking some time to consider their own personal response to Stewardship. By doing so they have become the first church in the Diocese to conduct a Stewardship Campaign with support from the new Diocesan Stewardship Initiative; a scheme developed as a response to the new Called Together vision. On the first Sunday of Lent, Richard Williams, Director of Finance for the Diocese, gave a presentation to the congregation, where packs were distributed to PCC members to pass on to their church membership. The packs contained an envelope for each member of the church, which included a letter from the vicar and a leaflet explaining the ministry and finances of the church. A response form was also inside giving people the opportunity to consider a regular act of financial giving or to indicate time and talents they may be able to offer. 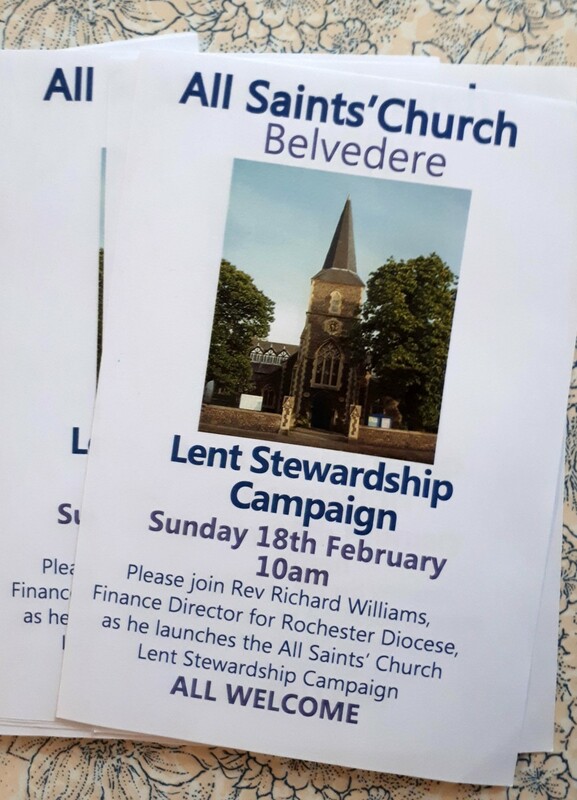 “We trust God that this Lenten Stewardship Campaign will enable further resources to be forthcoming in terms of finance, time and talents, in order to further God's mission in Belvedere.